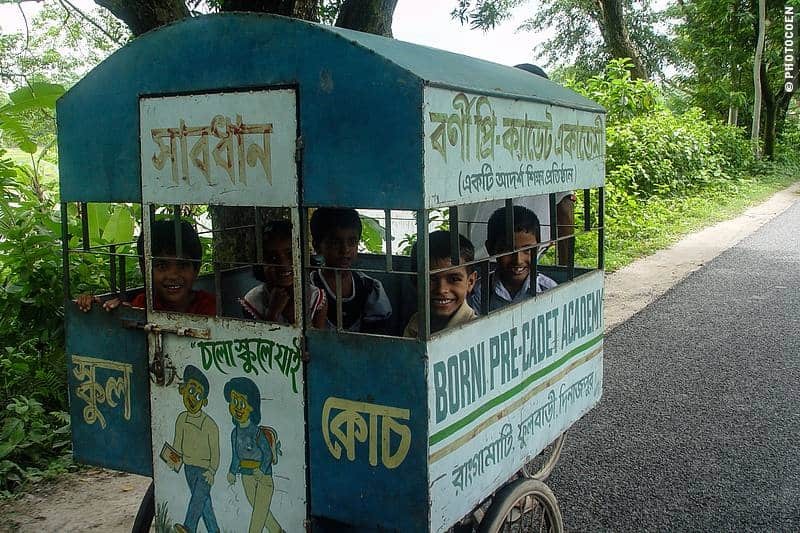 My first memory of learning about Bangladesh had to do with one of its devastating natural disasters. According to the news reporter there were so many waterways in Bangladesh that putting dikes around them all would take one hundred years of continuous labor. This statistic boggled my mind. The second story followed years later, from an expat. 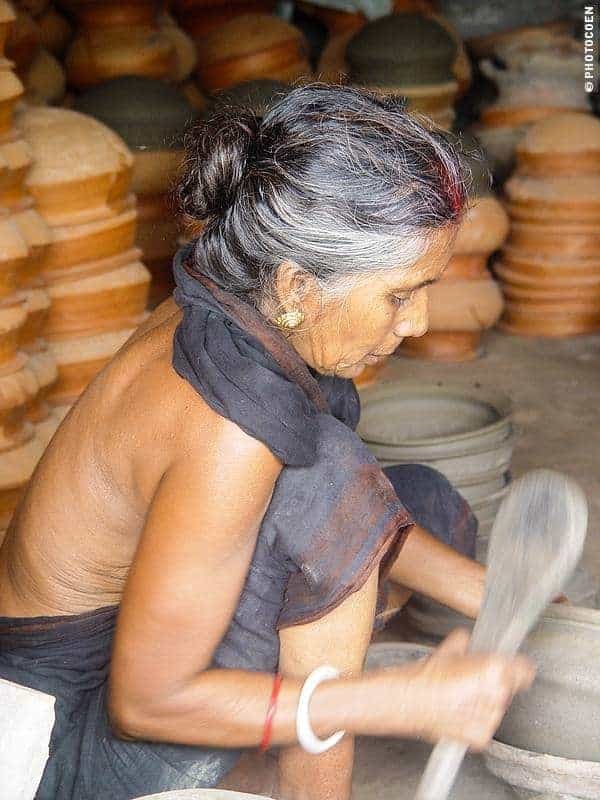 Her memories were about Bangladesh’s never-abating heat and humidity; the frequent power failures (she would drive around in her car for hours just to be in a space cooled by aircon); the cockroaches and the rats; the dirt and the noise; and the Bengalis chewing paan, incessantly spitting red globs all around them, or emptying their nose on the pavement. With these images and stories I stood on the border of Bangladesh, which we crossed for practical reasons: to get our Land Cruiser shipped to Singapore during our 3,5-year overland journey from Europe to Asia. I had no expectations about encountering an interesting culture or enjoying this particular part of the journey. The images I carried in my head were too discouraging. We stayed for seven weeks. The above-mentioned issues certainly are part of life in Bangladesh and we saw and experienced them all. But, as traveling has shown us so often, there is always a side to a country’s image different from the one presented to the outside world. 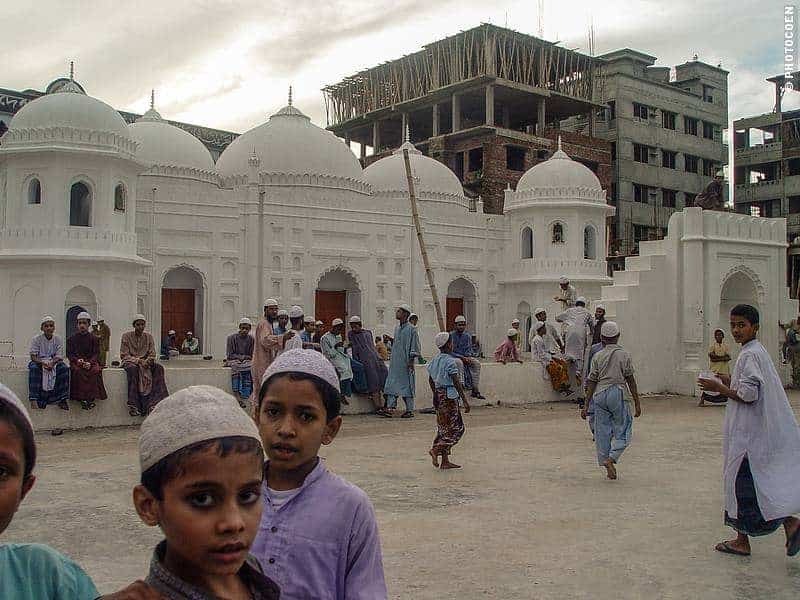 In Bangladesh this was no different. We discovered a country with incredibly hospitable people and were invited to stay in various homes. 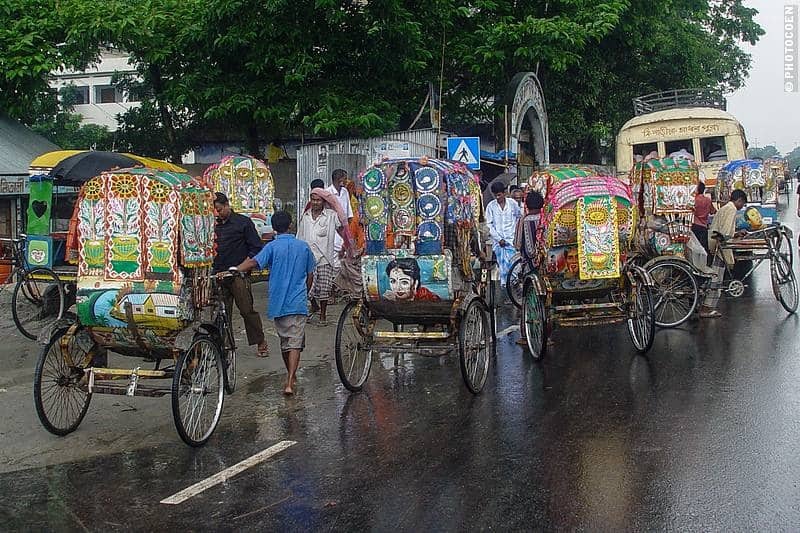 Dhaka, the capital, is thronged with traffic, among which some two million rickshaws and their pleasantly jingling bells dominated all other noise and sounds inherent in a major city. We learned about the country’s rich history, visiting numerous ruins and restored buildings, palaces, rajbaris (mansions of the British era) and places of worship, among which Buddhist monasteries, Hindu temples, and mosques. 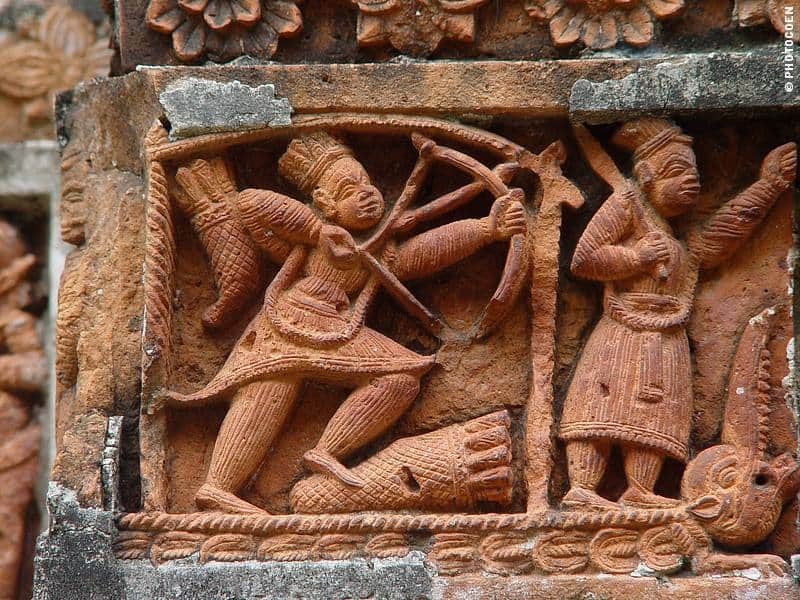 Bangladesh turned out to be a fantastic country, in particular for culture and history buffs like we are. We feel that Bangladesh ranks undeservedly low on the average traveler’s itinerary. Why? Because people don’t know about it? Because of its general image, like I mentioned above, is too discouraging? Who knows. It’s a cheap country to travel in but those who seek comfort and have the means to pay for it, they can find that too. Quite a few people speak English and it’s easy to travel with public transport because that’s what the average Bengali uses as well. I’ve always enjoyed putting together scrapbooks and photo albums but when we started our journey in 2003, and starting taking photos digitally, those hobbies disappeared into the background. After having written so many articles and stories about our journey I was ready for a new challenge. I love Coen’s photos and I know many followers of our journey do to. So I figured, why not do something with that? Here is the result. I thoroughly enjoyed creating a photo book about Bangladesh. Selecting some 175 photos of the more than 1300 that we took and writing the descriptions brought back many good memories: places, landscapes, people, encounters. Coen’s trained eye not only as a photographer but also as a graphic designer gave the professional touch to the layout of the book. Part of our travel is about sharing lesser-known places in the world with anybody who is interested in learning about them. We talk about places that we feel are worth getting to know, and often show the flip side of the average media coverage of countries outside our comfort zone. Hopefully this photo book will shed a positive light on Bangladesh, encouraging you to go check out the country for yourself. To the people we met, the friends we made in Bangladesh: thank you our friends, for opening your homes for us, feeding us, showing us where you live and how you live. The memories are profound and beautiful. We hope one day our roads will cross once more. 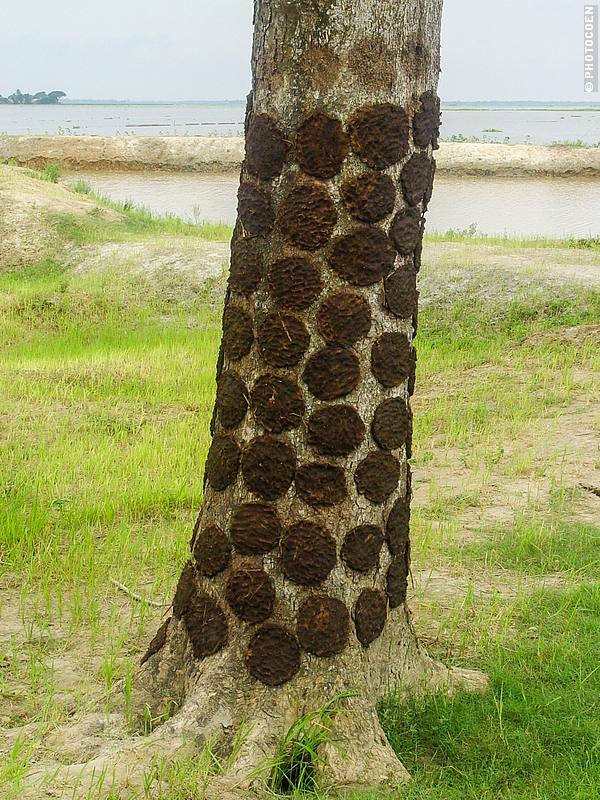 Following Rivers & Roads in Bangladesh – find it here. For books we read and contributed to, check out our Bookshop. a very warm greeting from – BANGLADESH! We are a German family living and working and travelling now 18 years in Asia. We moved last August to Dhaka and slowly get settled – all the Hartals and political unrest, the unefficiency and the bureaucracy are taking its toll…. I follow your website for quite some time and enjoy the photos and uplifting stories. We have a Unimog campervan and plan to travel the world as well on a slow pace – but first the kids need to finish school. Keep up your writing style and photos – love it! Good to hear from such a remote corner of the world. Hartals still going on huh? We had our share of those. 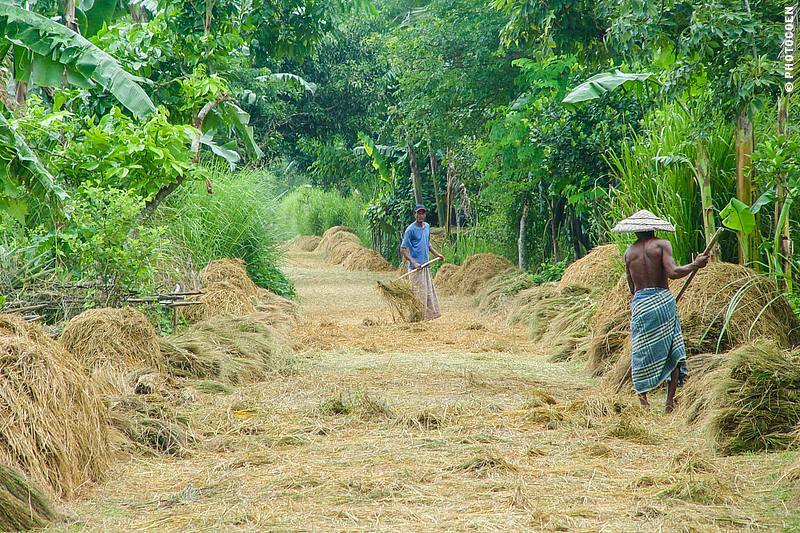 Living or traveling in Bangladesh… big difference. We loved traveling there but living there must be tough if for nothing but the climate. We hope you’ll enjoy your time there, eating lots of that splendid Bengali fish we remember so well. Don’t forget to roam the countryside, lots of beautiful historical culture to visit there. Living or traveling in Bangladesh… big difference. Very beautiful photos of my country but some information seems little incorrect. For example, the caption for a buffalo pulling cart shows that it is a common transportation means in the country. Its not correct at all. This cart is used mainly in northern part of the country. However, I am feeling good seeing a foreigner’s statements on my country :). I think you missed the longest sea beach in Cox’s Bazar, beautiful scenario of Hilly districts Bandarban, Rangamati and Khagracchari. Next time try to roam in this areas. And I totally agree, we missed so much in Bangladesh. There is definitely more than enough reason to return one day. Hi Nirob, good to hear from you. Bangladesh is definitely on our list for a return visit – one day. This really looks like such a lovely place. I can only imagine how busy it must be with so many rickshaws alone zipping all over the place. But your photos show quiet areas full of serenity as well. The rickshaw craze is intense, as is the number of people… But you’re right, once in the countryside you’ll find enough places that are quiet and peaceful. 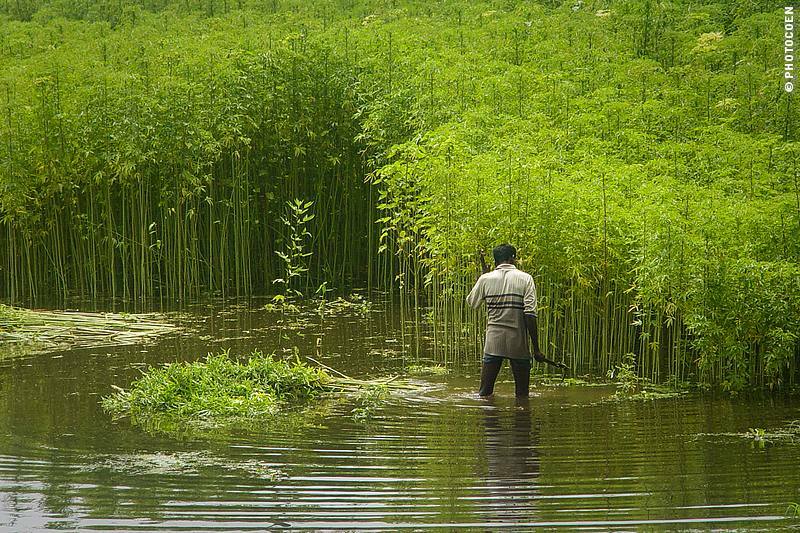 Lots of water and agriculture, particularly rice and jute, to void of (intense) habitation.